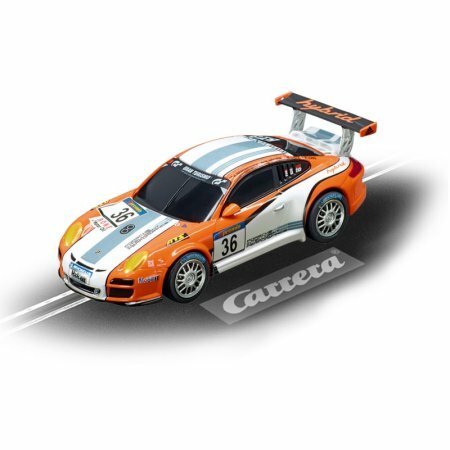 The Carrera GO Race Car Set helps you to experience the thrill of racing, right in your own home. The large track is over 17' long to make each lap tough but thrilling. 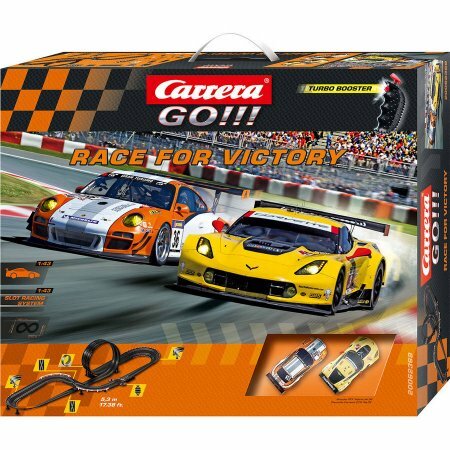 This Race for Victory slot car set design features a raised loop and two points where car paths intersect, which creates the possibility of dramatic crashes. Learn the intricacies of powering through banked turns and going easier on the flat curves to keep your vehicle on the track safely. 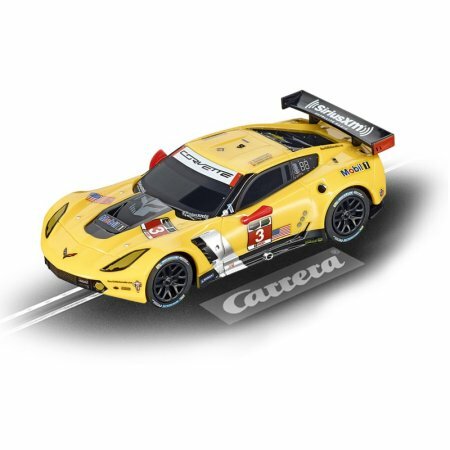 It comes with a miniature Porsche GT3 and a Chevy Corvette so you and your opponent can feel like you're using top-of-the-line cars in a real race. 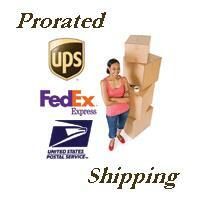 The controllers have a turbo boost feature for added speed right when you need it. This toy set is easy to learn so you can start using it right away.